Middlesex University Music Department were at a loss. Their studios were equipped with pianos by various manufacturers but it was clear that few were meeting the hefty demands of the students. The university did not only say that; they came back two months later and ordered another three 116E models. August Förster uses strong iron frames and adds special back-posts for perfect tuning stability. Renner actions and premium Renner hammers come as standard. One can expect to cherish an instrument of this quality for many years. 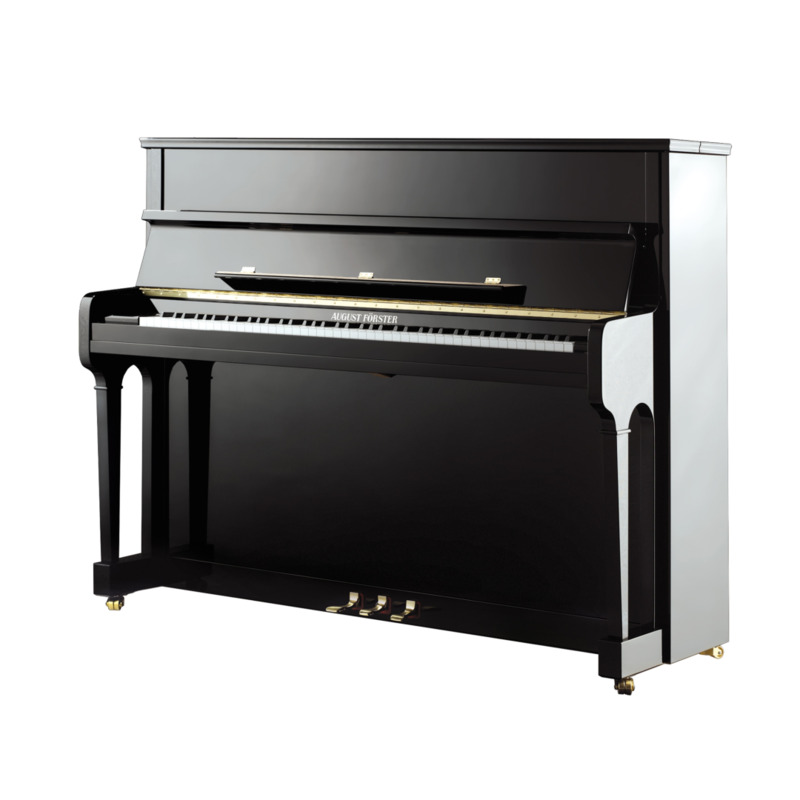 The company produces pianos in low quantities (some 300 instruments a year) but high quality. The upright pianos come in three heights, the 116cm being the smallest. With a handsome, traditional design, this is also a splendid instrument for domestic use. One doesn’t need to shout about this piano, as anyone playing it knows that it is special!